Medical Geologist and Fluoride Toxicity Expert, Heather Gingerich will be giving a fluoride toxicity presentation in Windsor on February 6th at 11am at The Moon Family Fun Centre. This presentation is for parents, grandparents and caregivers. Heather’s specialty is the toxicity of fluoride for children and infants. Bring your children to the playground, pay only their admission to the centre – we’ll keep an eye on your children (2 certified teachers) while you head upstairs for the presentation. Learn about fluoride toxicity, learn about provincially funded dental programs and bring your questions. To get an idea of the level of expertise Heather brings to this topic see this article Recognition and Management of Fluoride Toxicity that she co-authored with Canada’s leading fluoride toxicity expert, Dr. Hardy Limeback. This entry was posted on January 26, 2012, 4:01 am and is filed under Uncategorized. You can follow any responses to this entry through RSS 2.0. You can leave a response, or trackback from your own site. It was a great session today I learned a lot. I keep thinking the same thing though. If this has even a chance of being bad for us take it out. If I want to I can find it other places. So take it out. Maybe some of my health problems could have been avoided. Lets save our kids from this crap. Enjoyed listening to Heather Gingerich speak today….she is so very knowledgeable yet explains things in laymen’s terms to non scientific people like myself. I knew fluoride was toxic but I did not realize there were so many avenues it could take to poison us. I am so glad there are people like Heather Gingerich, Kim DeYong and Ayesha Saleem Drouillard to lead the fight in getting this garbage out of our environment. Unfortunately it seems like such an uphill battle to get people to listen to scientific facts rather than mainstream fluoride marketing which appears to be full of lies. I will never understand how our politicians, community leaders and medical community can ignore facts and even condone slowly poisoning us. It both saddens and angers me. 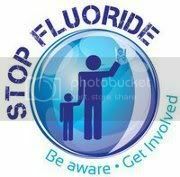 I support a fluoride free Windsor and surrounding area. I’d like to thank Fluoride Free Windsor for organising this great presentation. I was impressed by the guest speaker and really appreciated the information that was given. Knowledge is power! It’s great to know that organization like this and people like Dr. Hardy Limeback are talking about the danger of fluoride toxicity. Great info section and glad it’s posted on Youtube for easy access to those who are interested.